Landscaping Concepts - Landscaping Services At Landscaping Concepts, we offer all of your landscaping needs under one roof. Whether it's a little maintenance or a complete landscaping overhaul, we're the right professionals for you. We have a solid reputation for our quality workmanship and excellent customer services . At Landscaping Concepts, we offer all of your landscaping needs under one roof. Whether it's a little maintenance or a complete landscaping overhaul, we're the right professionals for you. We have a solid reputation for our quality workmanship and excellent customer services . Landscaping Concepts know that working with a professional for your landscaping can be different from what you are used to, which is why we make sure the experience is an enjoyable one . We will start by reviewing your landscaping goals and then present a proposal and a cost estimate to you , detailing what we plan on doing .We believe that our work speaks to the value we provide, and budget our services honestly and accordingly to ensure the level of quality that we stake our reputation on. At Landscaping Concepts we love what we do. We take pride in the workmanship and treat each project as if it our own. Our goal is to impress you with our quality work and excellent customer services . 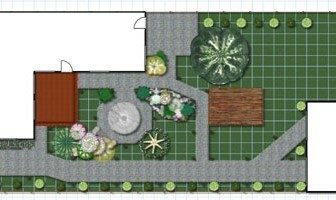 Our landscape designs are spaces to appeal to all the sense- sight , sound , smell , touch and taste. We plan for your landscape to be appealing four seasons out of the year-especially during the long grays days of winter. Call us to get a free estimate for your landscaping care needs. We'll discuss your goals and provide a great price you will be happy with.